Dr. Ayalla Ruvio is an applied consumer behavior researcher who focuses on issues such as identity and consumption, material vs. experiential consumption, luxury consumption, consumer arrogance, and cross-cultural consumer behavior. Her research has been published in journals including the Journal of Academy of Marketing Science, Psychology & Marketing, Journal of Product Innovation Management, Journal of Business Research, and Leadership Quarterly. She is the co-editor of the volume on "Consumer Behavior" in the International Encyclopedia of Marketing and the book "Identity and Consumption." 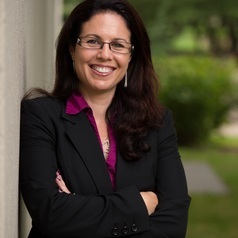 Prior to joining the Broad College faculty, she was an assistant professor at the University of Haifa and Temple University and a visiting professor at the University of Michigan. Her research has featured in numerous media outlets all over the world, including the CNN, TODAY show, Good Morning America, TIME magazine, The New York Times, Forbes, Consumer reports, The Daily Telegraph, The Atlantic, The Telegraph, and the Toronto STAR.